After nearly finding myself crippled from building these steel shelves in a way to small space, I was finally able to place the canning jars in their new home. Needless to say, they are just a tad to get to. Finding the right jar is a bit like playing one of those childhood games where one moves the squares around to make a picture. But here they are in all their canning glory. 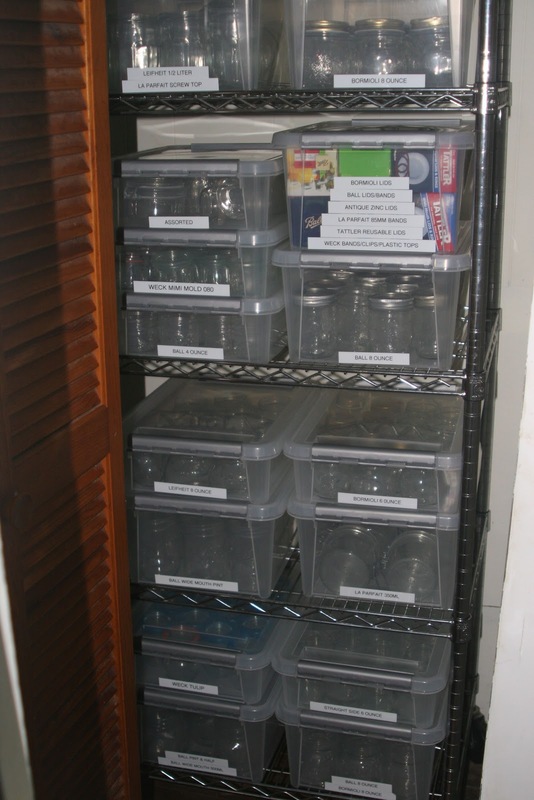 Now we just need a confiture closet for the filled jars! I'm impressed. Love to see others who can. 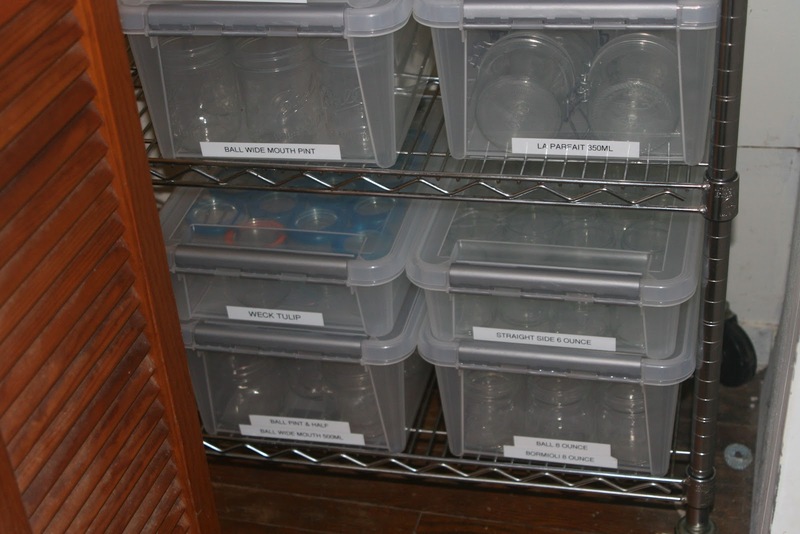 I just found a new place to store all my canned goods which makes me so happy because my pantry is too full. I'm ENVIOUS - and inspired. 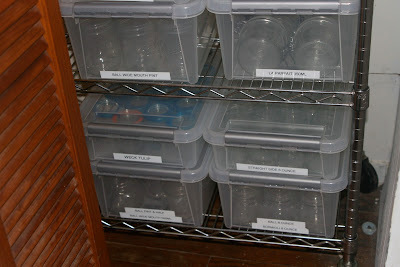 Have been scheming how to store our canning and storage jars. 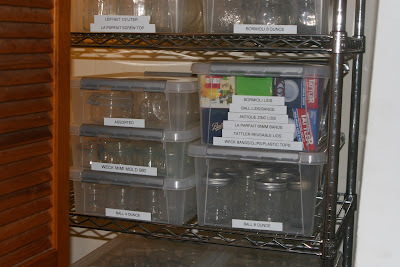 i have a rolling baking proofer, which I can see as a canning storage space........I use it in the garage......so think that I may be able to store the filled jars there as well.......in Georgia, I have not had jars freeze in the garage!!!! Thanks so much!!!! !